After I upgraded to the newest version of Apple’s Safari web browser, I felt like I had taken a wrong turn in the wild. When you wake up in the morning, you expect your iPhone to be where you left it the night before. Right? Similarly, your sleeping computer in your home office downstairs should be waiting, ready to go where you left off the night before. That expectation can be somewhat muted by a toddler running about the house. But if you set your alarm early enough and get yourself up before he does, you can usually beat his cyclone effect. Barring a CPU meltdown, I expect things to operate more or less the way they did the day before. So when my electrician came to my house this week to talk about installing a portable generator in the wake of Hurricane Sandy, and I reviewed a few options with him online, I expected my Safari web browser to behave. We sat down, and he suggested I check out norwall.com. After we reviewed a few generator options, I wanted to show him another website I’d found, but I forgot the exact URL and needed to google it to locate it again. My eyes gazed upward to the top right of my screen to place the curser in the Google search bar… and suddenly it was gone! Yes, the Google search bar was gone!! I quickly changed the subject and said I’d do more research another time. We shook hands as he left with the promise that my house would one day have some level of energy independence, even though I was clearly chained to my fickle tech! I walked back into my home office and sat down at my desk. I stared at my computer. Was it mad at me? At Home with Tech, there are no coincidences. I haven’t been paying attention lately to Apple’s software tweaks, and I hadn’t even taken the time a few months back to upgrade my operating system from Lion to Mountain Lion. These enhancements had first shown up through Mountain Lion over the summer. And now it was filtering down to Lion through the Safari V6 updates. If you’re like me and have been innocently going about your software update schedule without paying much attention, you may to be in for a big surprise with Safari. Where did the Google search bar go?! Why won’t a link open in a new window anymore?!! Why are parts of URLs grayed out? The good new is Safari isn’t broken. The Google Search Bar is Missing! Instead, you can use the new URL ‘omnibar,’ which has been upgraded to handle Google searches. It’s now a unified search and address bar. Apple calls it the Unified Smart Search Field. In fact, Apple isn’t the first to make this switch. The ‘USSF’ takes a little getting used to, but it works just fine. Once upon a time, if you clicked on a link, it usually opened up in a new window. Now, it opens in the same window, but listed under a new tab. Apple has more info in this support article. Why is Some of my URL Gray Now? Yes, the tail end of URLs are now gray, instead of black. That color shift allows you to more easily view the main URL name in black. The “http://” prefix doesn’t show up anymore in the Unified Smart Search Field. You can turn on ‘Private Browsing’ as a security measure in the drop-down menu under ‘Safari’ on the top left. DNT still seems to be a work in progress. 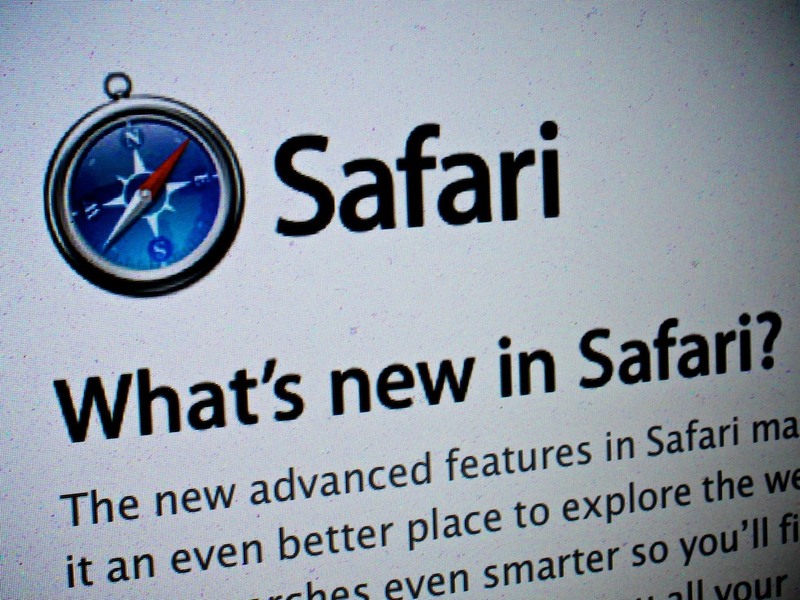 Next time you do a software update and Safari 6.0.2 shows up, you shouldn’t feel lost in the wild. And with Cyber Monday just around the corner, you don’t want a lion on safari to slow you down.